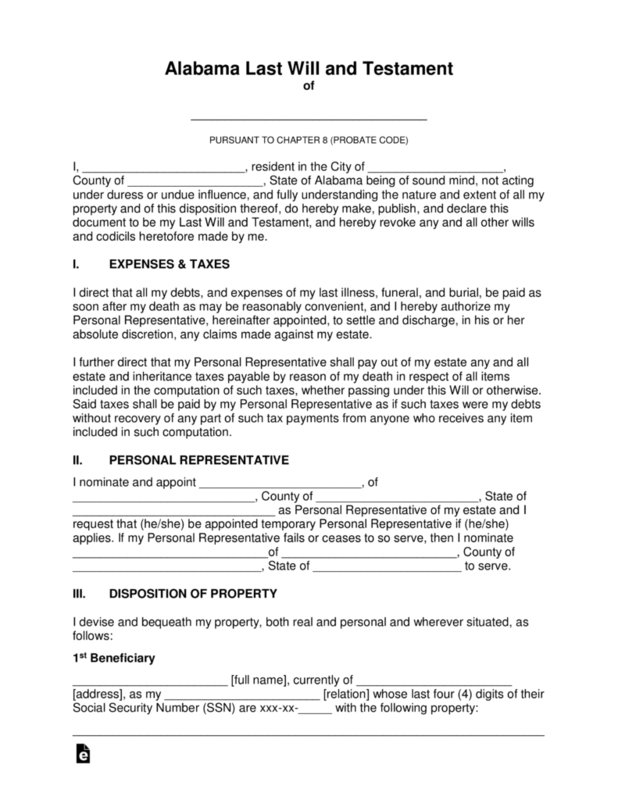 The Alabama last will and testament is a document that a person may use to make sure loved ones are given certain real and personal property after their death. The form must be written when the person is of sound mind and with at least two (2) witnesses (§ 43-8-131). Furthermore, it should be recommended that the testator and witnesses sign with a notary public present so that it cannot be contested during the estate or probate process. 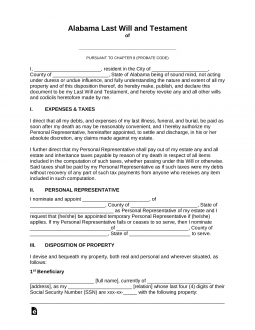 Witnesses (§ 43-8-131) – Must be signed with two (2) individuals that are not mentioned in the Will. Living Trust – Unlike a will, it by-passes the Probate process by allowing an individual to have their property transfer directly to their heirs after death.